It was described by William Morris (1834 -1896) as “the most beautiful village” in England. The River Coln is the main river that runs through the village is 6 metres wide and is a fast flowing freshwater river full of Trout. The river has its source in the Cotswolds and joins the Thames at Inglesham in Wiltshire. It was originally used for washing wool and for household uses.Today the water is pumped out into a reservoir where it is purified for use as drinking water. Arlington Row – This was built in 1380 as a monastic woolstore and converted into a row of weavers’ cottages in the seventeeth century. The cloth produced here was sent to Arlington Mill , also in the village but now a private residence. Arlington row has been used as a film & televsion location – notably for the films Stardust and Bridget Jones’s Diary. 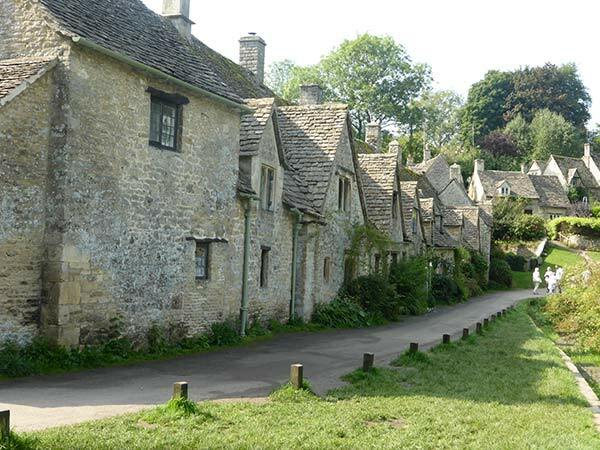 Rack Isle – is a National Trust Wildfowl Reserve that lies in the Centre of Bibury and is almost surrounded by water. Most of the river birds nest on the Isle especially Mallards, Coots and Moorhends. 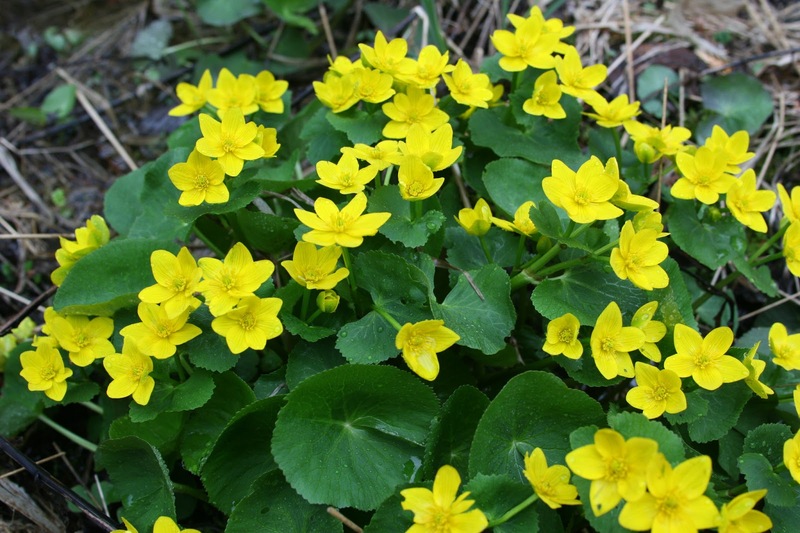 The flowering plants are Marsh Marigolds,Ragged Robin, Meadow Sweet, Yellow Iris, Monkey flower and Comfrey. Rack Isle’s name originated from when it was used for drying the cloth processed in Arlingham Mill. The Bibury Trout Farm – founded in 1902 the farm breeds and rears high quality Rainbow & Brown Trout. Each year up to 10 million Rainbow Trout are spawned. A third of these are sold to shops, the remainder are used to stock rivers & lakes.In the warmer monthsyou can even ‘catch your own’ in the small fishery – all equipment is provided and staff are on hand to help. 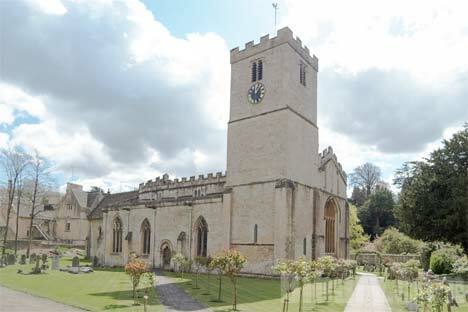 St Mary’s Church – it is a little walk from the centre of Bibury, but well worth visiting. The Church is a Grade 1 listed building and is a gem of a Cotswold church.Don’t miss the stunning Norman doorway arches.There are even earlier historical features to see – the Saxon gravestones. It also has some lovely stained glass windows.In fact Madonna and Child in the north Chancel wall was featured in the 1992 Christmas stamp set issued by the Post office.